Saaho star Prabhas has been waiting for the ambitious two month long Dubai schedule to commence soon this summer. Meanwhile, the actor is utilising the free time to meet a large number of his fans. 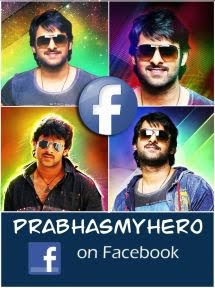 Recently, a few photographs where Prabhas was seen posing with his fans in a personal interaction went viral on the internet. Now, we has exclusively learned from its sources that Prabhas will be meeting his fans once again in a grand manner, starting from April 2nd. The meeting will last for 3 to 4 days in Hyderabad. Apart from the personal interaction, there will also be a photoshoot where fans will get to pose with the Young Rebel Star. As per the source in the know, hundreds of fans from all corners of both the Telugu speaking states will take part in the meet. Prabhas' personal team is currently coordinating with Prabhas fans associations' presidents from all the districts in AP and Telangana to organize the meet.